We are so excited to take a Thai cooking class on our honeymoon getaway! We will be able to understand the culture in a way we never thought we could, as we sample the many different flavors of Thai food and put them together to make a delicious creation with one another. Your lovely wedding gift allows us to immerse ourselves in the enchanting Thai culture. In our spacious room, we will enjoy a lush tropical garden view and balcony. 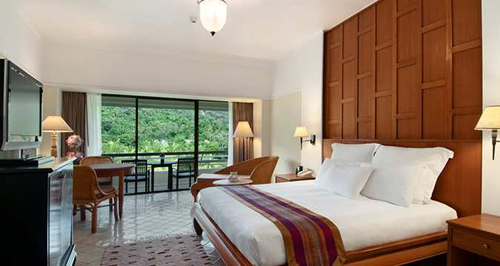 We will relax and unwind in this deluxe garden view room with Thai style décor and a balcony embracing tropical greenery. We can’t wait to relax in the comfortable seating area, enjoy an in-room meal, or settle into the easy chair in our bathrobes. This spacious airy room has sliding patio doors, plus a desk with high-speed internet access for efficient connection to the web. Relaxing in luxurious accommodations is what a honeymoon is all about! 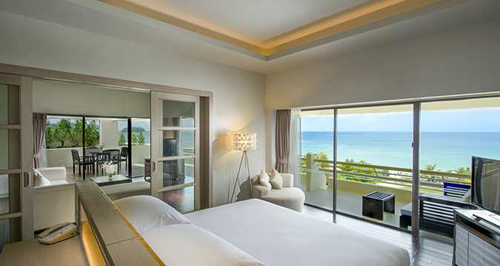 In this modern guest room, we will bask in the views over the azure Andaman Sea. 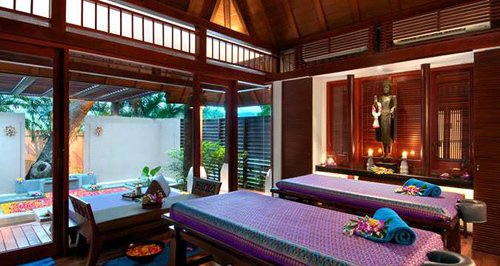 We will unwind in this Thai style decorated room with a balcony offering beautiful sea views. We can relax in the comfortable seating area, enjoy an in-room meal, or settle into the easy chair in our bathrobes. As the salty air fills our room while the sliding doors are wide open, we will take in this amazing honeymoon experience. 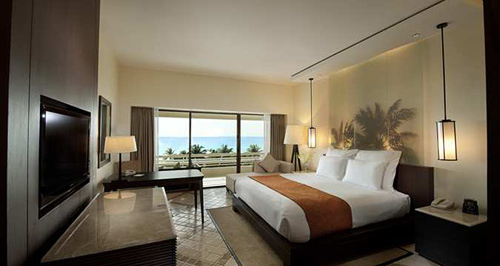 In this spacious suite, we will enjoy modern amenities while looking out over a glorious sea view. We will unwind in the Thai-style décor of this spacious suite. This stylish suite features a king bed and an elegant bathroom with walk-in shower and luxurious tub. We will unwind on the large window sofa with a cool drink or connect to the web with high-speed internet access. Surrounded by sweeping ocean views, we will enjoy spending time on the convenient balcony to enhance our experience on our romantic honeymoon. This opulent suite offers a sea view with Panorama Lounge services. An elegant home away from home, this spacious top floor suite with Thai-style décor has an extended balcony with panoramic views of the Andaman Sea, plus living room and kitchenette for in-room cooking and dining. This bright and airy suite offers two bedrooms and bathrooms. We can’t wait to relax on the sofa while watching DVD’s on the LCD flat screen TV, or surf the web from the corner work desk with high-speed internet access. We will pamper ourselves in the large bathroom with whirlpool and wrap up in our bathrobes and slippers. 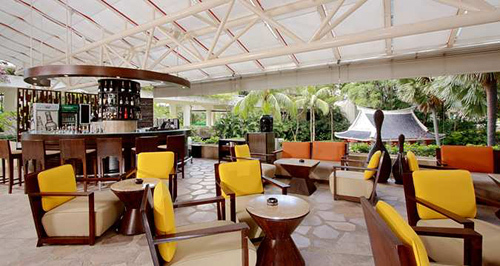 We will also enjoy a host of exclusive services at the Panorama Lounge. 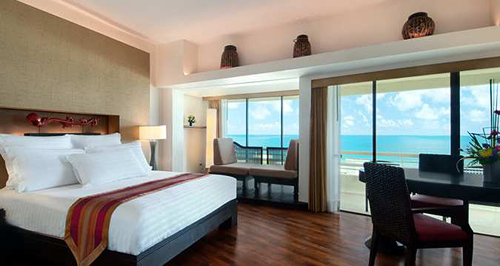 We will be delighted to relax in this spacious Thai-style suite with panoramic views of the sparkling sea. We will pamper ourselves in this amazing suite with a contemporary layout, which includes a spacious balcony with panoramic views of the Andaman Sea in addition to a separate living room and dining area. This bright and airy suite features a king bed, a sofa to watch DVD’s on the 40-inch LCD flat screen TV, and high speed internet access to surf the web. We will spoil ourselves in the large bathroom as we wrap up in full-length bathrobes and slippers or as we relax while watching the sunset over the rainbow lit sky above the water from our private outdoor whirlpool. We will also enjoy exclusive services at the Panorama Lounge. In room dining is perfect for early-risers, a romantic dinner for two, nighttime munchies, or maybe even a bottle of wine if we decide to have a romantic night in. 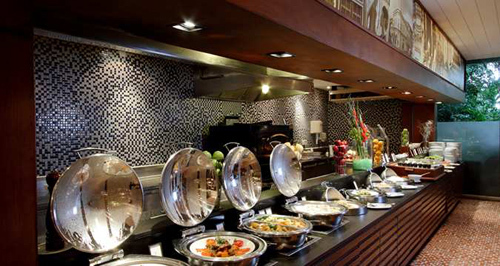 We will relax and enjoy our delicious cuisine in the comfort of our spacious and relaxing rooms. 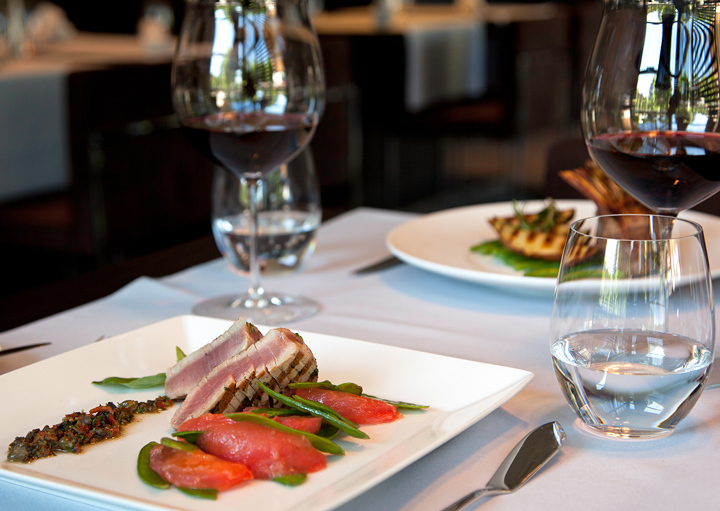 The In-Room Dining menu features a variety of delicious dishes for us to choose from. With one quick phone call, there will be dining staff ready to take our order! We will sit back and enjoy a relaxing rendezvous with nightly live entertainment. This is a great place to celebrate our new lives together with a cocktail or two. We cannot wait to enjoy the garden scenery to the backdrop of soothing musical rhythms. Buon Appetito is the venue to visit for distinctive Italian dishes, such as pizza and pasta. For breakfast, we will take delight in a freshly brewed cup of coffee or juice, and our choice of fresh options from the international breakfast buffet. We will enjoy a delicious snack on our honeymoon at this Phuket café. We can take our pick of freshly prepared snacks, sandwiches and salads at Caffe Cino. 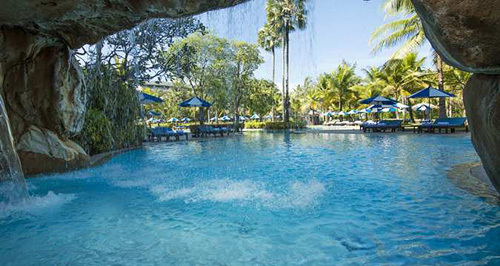 We will watch fellow guests splash around the hotel’s Garden Pool as we bask in the tropical morning air. 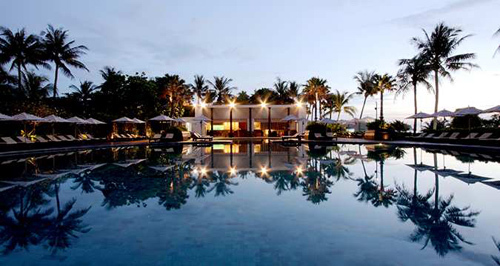 After a long day, we will relax on the pool deck and soak up the sunshine at the fashionable Ocean Beach Club. This stylish Phuket bar and restaurant overlooks Karon Beach and the sparkling Andaman Sea. We will grab a light lunch at the poolside restaurant or watch the sun set with a cocktail in hand. In the evening, we will dine on a delicious mix of Asian and Mediterranean cuisine, including fresh seafood and meat skewers. 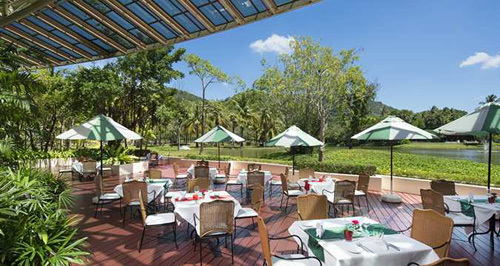 We will start our day with a sumptuous breakfast, choose from the all-day a la carte menu or enjoy nightly themed dinner buffets at this Phuket restaurant. As we gaze out over the swimming pool, we will savor delicious steamed sea bass from the Asian menu, indulge in beef lasagna from the Mediterranean menu or simply browse the buffet and relax with a tropical cocktail. 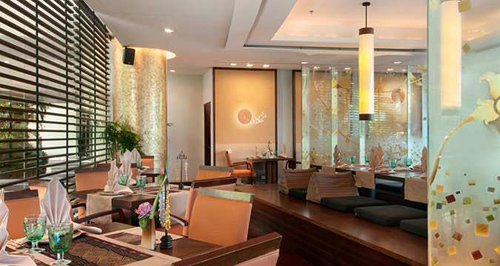 We will enjoy a night to remember at this elegant Phuket restaurant, decorated with traditional Thai art. As we sip specialty cocktails, we will sample fresh local seafood at the Hilton Phuket Arcadia Resort and Spa. We will try the whole red snapper before gazing at the sunset over the Andaman Sea from the terrace. Thanks to your wonderful wedding gift, we will relax into an ideal tropical beach getaway at Hilton Phuket Arcadia Resort and Spa. We will admire breathtaking views of the serene Karon beachfront offering an idyllic destination for a truly unforgettable trip! 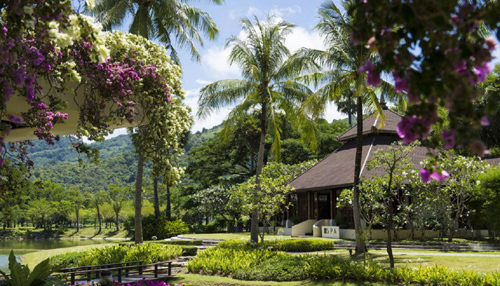 We will enjoy a wide selection of room types, recreation, spa, and culinary amenities, designed to enliven and revitalize our honeymoon visit to this large resort in Phuket. 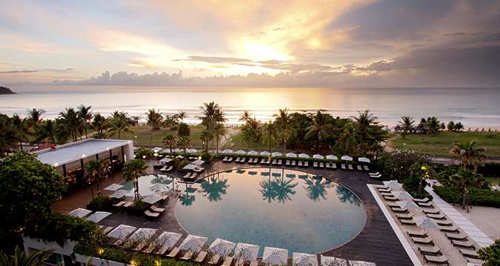 This resort credit will truly enhance our intimate escape surrounded by majestic views! Located in one of the most beautiful countries in the world, Hilton Phuket Arcadia Resort and Spa of Phuket, Thailand, promises us a romantic honeymoon getaway! With your thoughtful gift, we will enjoy countless activities outdoors including diving into any of the five outdoor swimming pools, take comfort in luxurious accommodations, receive a relaxing spa treatment in one of the fifteen spa treatment rooms, or we will savor innovative dishes in a lavish setting and enjoy a round of drinks. 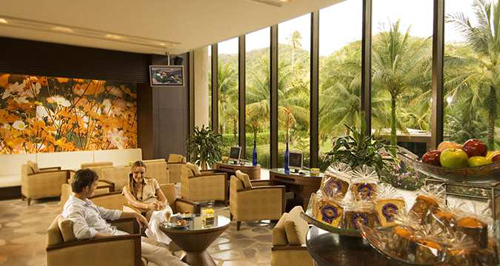 We will luxuriate in an array of pampering amenities at the beautifully designed Hilton Phuket Arcadia Resort and Spa. A chilled bottle of champagne will be delivered to our suite. We will make a toast to our romantic honeymoon in paradise while taking in the sweeping views of the sparkling Andaman Sea. How romantic! Coconut has been used for centuries in Asia to moisturize the skin. With this spa experience, Coconut oil will be used to help maintain the skin’s coloring after a day in the sun and will give my skin a golden glow! This moisturizing rub uses natural honey and sesame seeds to exfoliate and remove dead skin cells, resulting in softer and smoother skin. This spa treatment is suitable for normal to dry skin. Using deep pressure points to break down tensely knotted tissue as well as long strokes and skin rolling techniques to relieve tension, this massage improves circulation, eases stress and promotes harmony of my body, mind and soul. This signature treatment uses the resorts very own reviving brand of Wild Mint massage oil together with a specially created Thai natural herbal pack. This treatment includes a gentle body exfoliation using Thai royal honey and black sesame to nourish and protect the skin. This therapy is ideal for putting back a little of what life takes out. This gentle therapeutic massage is perfect to creating a sense of relaxation and well-being. The scent of lavender is used to soothe the tired soul while creating a clam state of mind. At Hilton Phuket Arcadia Resort & Spa, we can have the romantic wedding we have always dreamed of while being surrounded by beautiful waters of the Andaman Sea. 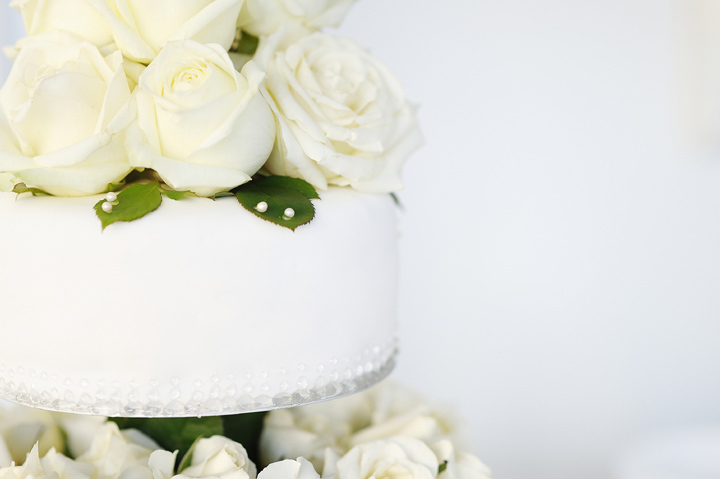 This tropical resort provides the perfect backdrop for our special day. We will make our vows underneath the sun and next to Karon Beach’s sandy shores. The events team will customize the resort for our important celebration so we can simply relax and take comfort in Thai hospitality with custom in-room amenities and services before, during and after our destination wedding.